Jakey Lou Willams was born Febuary 15, 1957 in Norfolk Virginia. Jakey is best known as Jake E. Lee, former guitarist for Ozzy Osbourne and the band Badlands. Jake started playing music as child, beginning with classical piano lessons, however, Lee prefered to play his older sister's guitar. Jake's sister introduced him to musical artists and bands such as Jimi Hendrix, Black Sabbath, and Led Zeppelin. It was then that he decided that he wanted to become a rock guitarist. Jake played in many high school bands and in the 1970's brought his style of music to the San Diego music scene. In San Diego, California, Lee was lead guitarist for a band called Teaser, named after Tommy Bolin's debut solo album. Teaser became the house band at San Diego's first teen night club. In 1980, Jake joined a band called Mickey Ratt, who later achieved fame and fortune as the band Ratt, after relocating to Los Angeles. Lee left Ratt to join Rough Cutt, which was produced by Ronnie James Dio and managed by his wife Wendy Dio. After Ronnie heard Lee play, Jake was invited to join his solo band Dio in 1982. Lee claims to have written a few songs that appeared on the "Holy Diver" album, most notably the riff to "Dont Talk to Strangers". After Randy Rhoads died, Ozzy Osbourne began to search for a new permanent guitar player for his solo project. Ozzy went to Los Angeles and began to audition players. It was then that Vinnie Vincent / Slaughter bassist Dana Strum recommended Lee to Osbourne. Strum was also the same person who recommended Randy Rhoads to Ozzy. Eventually, Ozzy's choices came down to two guitarists, George Lynch from Dokken, and Jake E. Lee. Jake was chosen and began to play for Ozzy in late 1982, along with Don Airey, Tommy Aldridge, and Pete Way. The first Ozzy album featuring Jake E. Lee was entitled, "Bark at the Moon". Once the album was released it soon became a commercial success. In late 1983, they set out to promote the album with a worldwide tour. Motley Crue and Pete Way's (UFO) Waysted both appeared as opening acts on the "Bark at the Moon" tour. After the tour was completed, Osbourne checked himself into the Betty Ford Center for alcohol & drug rehabilitation and the band was put on hold. Once Ozzy was released from treatment, Lee presented him with material he had written while Ozzy was away. The material came to be known as the 1986 album, "The Ultimate Sin". Metallica had recently released their classic, "Master of Puppets, and joined Ozzy as the opening act for that tour. In late 1987, Lee left Osbourne's band while Ozzy was concentrating his efforts on the " Randy Rhoads, Tribute" album. In the summer of 1988, Lee formed the blues-based metal band Badlands. Badlands released their self-titled debut album in 1989, with former Black Sabbath singer Ray Gillen, Eric Singer (Kiss, Alice Cooper) on drums, and Greg Chaisson on bass. In 1991, Singer left the band to join the group Kiss and was replaced with Jeff Martin (Racer X). Badlands then released their album, "Voodoo Highway". While on the follow up tour for the album, Gillen was fired and was replaced by John West who finished the tour. In 1993, Ray Gillen would die of AIDS related complications. 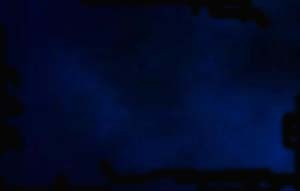 In 1998, Badlands released "Dusk", which featured previously unreleased material with Gillen. In 1996, Lee released his first instrumental album, "A Fine Pink Mist". The album was compared to Joe Satriani's, "Surfing With the Alien", and received very good reviews. After that, Lee all but disappeared from the music scene and did not produce another album for eight years. In 2005, Lee released "Retraced", which had many blues covers from the 60's and 70's. These days a Jake E. Lee sighting is still a rare sighting indeed. Later, Charvel / ESP Guitars - Custom ESP with a Gibson neck and fretboard covering the first twelve frets, then they were Fender frets. Seymoure Duncan Humbucker (bridge) and two DiMarzio SDS1 Single-Coil pick ups. Marshall 100's through Marshall cabinets with Electro-Voice speakers. He also used a Boss OD-1 pedal with basic settings, setting the Distortion / Overdrive to 0 to avoid low-end muddiness. Jake used 1968 through 1970 Marshall 100's (Plexi Amps), through Marshall cabinets with EV speakers. Once again, he also used the Boss OD-1 pedal adjusting for distortion, depending on what was needed. It is also said that he used Fane speakers with 2x12s in order to achieve a good clean sound, along with a phaser pedal. 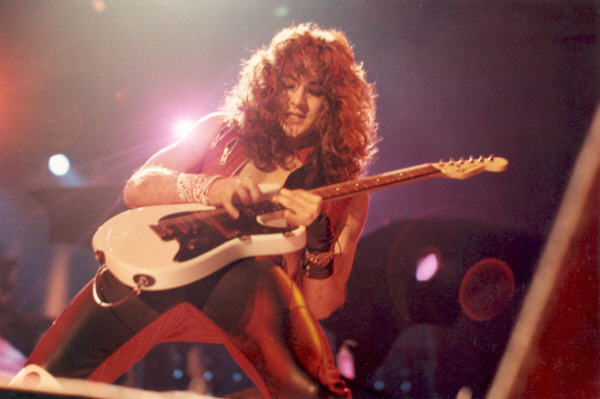 Do you know more about what gear Jake E. Lee used / uses? Please Contact Us.